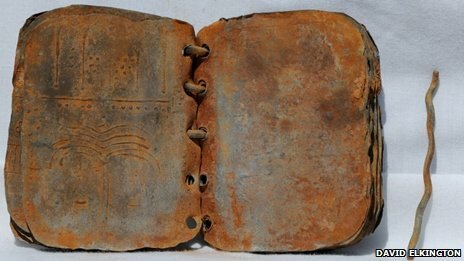 Over the last few months there has been quite a bit about the Lead Codices that were supposedly found by a Bedouin in Jordan. 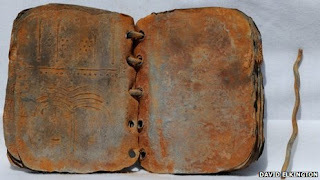 The Elkingtons, the couple promoting the find, were on the TV interview circuit claiming that the codices were real and that they dated from first century. They even suggested that the codices were from early Christians and contained new information about Jesus. Bibliobloggers, however, reacted quickly asking numerous questions about the authenticity of the codices and the Elkingtons. At the same time, the media kept running the story and more times than not failed to listen to the experts, many of whom were also biblibloggers.Eventually, the media also began to question the Elkingtons' claims. Below is a 10 minute video clip posted by Tom Verenna that traces the story from the beginning and lists out the substantial evidence against the authenticity of the codices. This well done and think it is important that people be aware that these lead books are NOT the biggest find since the Dead Sea Scroll, but are more than likely the biggest fraud since the scrolls.